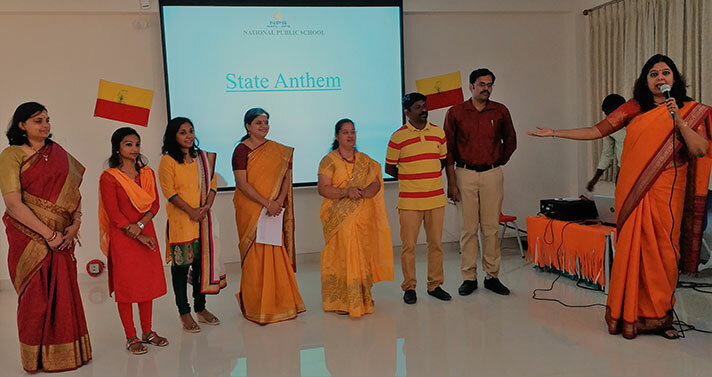 NAFL North celebrated Kannada Rajyotsava on October 31, 2018 with a special assembly to honour the state and the flag. The assembly began with a soulful rendering to Goddess Shakti followed by the Vice-Prinicpal’s address in Kannada. 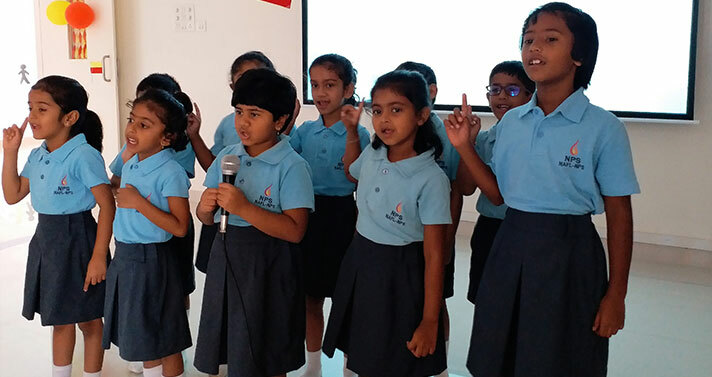 The gorgeous state of Karnataka was celebrated in various ways – the tiny tots from Grade 1 and 2 mesmerized everyone by singing a song in Kannada. 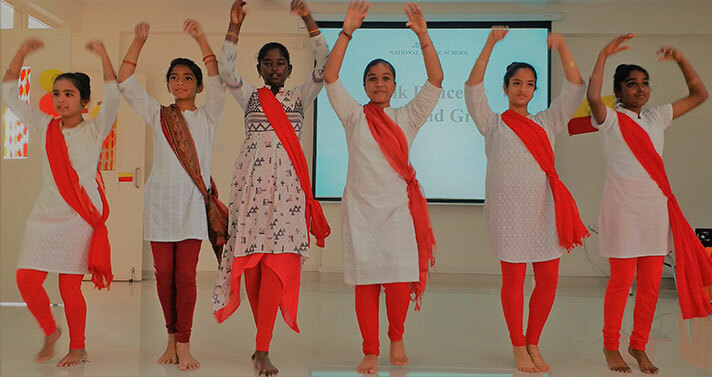 Grade 8 and 9 did a representation of the folk dance of Karnataka and Grade 6 and 7 spoke about the Jnanapeeth Awards with a special mention of the 8 Jnanapeeth awardees from Karnataka who won accolades for the state. Grade 3, 4 and 5 depicted the story of how Bengaluru got its name. The assembly concluded with the state anthem.